TORONTO, ON – Muddy York Brewing has announced the upcoming launch of a new series of single hop beers that will continue to follow the Historic Toronto theme that the brewery has embraced with its name and branding. The first release will honour the hop that single-handedly changed the face of craft beer in America. It is most famously represented in the quintessential American pale ale (and one of my personal favourites), Sierra Nevada Pale Ale. For our Ward Series beers, we’re using our favourite hopping schedule that has a massive amount of late hop additions. These late hop additions soften the bitterness and provides a delicious balance of flavour and aroma. We will dry hop all of our Ward series beers as well, to give them the added aroma and freshness that, in my opinion, make a hoppy beer great. 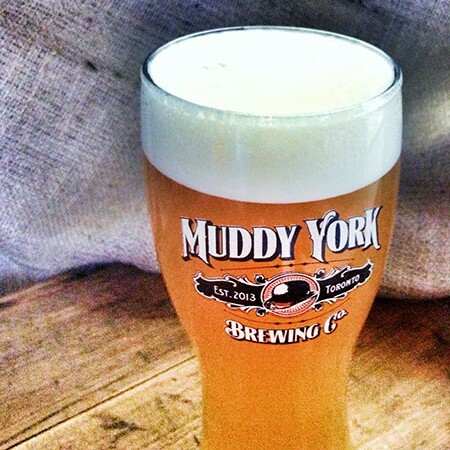 Muddy York Ward 1: Cascade will be available soon on draught at select craft beer bars in Toronto and area. For more details, see the full announcement on the Muddy York website.